I have had a few letters from anti-fluoridation activists lately assuring me they have symptoms of fluoride sensitivity, or hypersensitivity. The local campaigners have even produced a video of one of their members discussing his own symptoms (see Gus Hastie on fluoride hypersensitivity). Now, I never want to be in the position of ignoring people’s symptoms, but really – self-diagnosis is always dangerous. What they attribute to fluoride sensitivity may turn out to be something far more serious. People should always check out their health problems with a qualified professional. Like all claims based on anecdotal evidence fluoride sensitivity and hypersensitivity could be nothing more than an attempt to produce damning evidence against fluoridation – without actually having any evidence. I have had an upset stomach and headaches for a few months – ever since fluoridation was stopped! I would be a fool to just assume this was due to lack of fluoride, wouldn’t I? Perhaps health authorities could have taken advantage of the Hamilton City Council’s decision to stop fluoridation to carry out a social experiment – to check if people’s claimed symptoms of fluoride sensitivity actually coincided with fluoridation, or its absence. The public had been well informed of the change, but what they did not know is that fluoridation was actually stopped a month earlier than planned. The public were surveyed about their symptoms using questionnaires in the month of November (when water was till fluoridated and citizens believed it was), December (when water was no longer fluoridated but citizens believed it was) and March (when the water was no longer fluoridated and citizens knew that it wasn’t). The graph below shows the percentage of respondents to the surveys reporting symptoms at the three times. Data is the average of the 5 most often reported symptoms (joint and muscular pain, headaches, skin itching and skin dryness). These results do suggest that the prevalence of symptoms is more connected with the psychological and not the actual physical effects of exposure to fluoridated water. Not surprisingly the mean number of symptoms reported was lower among those who supported fluoridation than among those who opposed it. A similar relationship occurred with people reporting that they could taste the fluoride in the water – both in November (when the water was fluoridated) and in December (when it wasn’t). The numbers reporting the taste dropped to nearly zero in March when they knew fluoridation had stopped. One should always be suspicious of anecdotal evidence – no matter how passionately advocates of a particular cause use it. Thanks to Ian at Making Sense of Fluoride for drawing my attention to this research. This entry was posted in city council, environment, Health and Medicine, SciBlogs, science, Science and Society and tagged fluoridation, fluoride, fluoride sensitivity, psychological symptoms, Water fluoridation, Water supply. Bookmark the permalink. You say, ” I have had a few letters from anti-fluoridation activists lately assuring me they have symptoms of fluoride deficiency. With the greatest of respect, I would put this claim into the 100% BS file… THINK!!!! before you rush to print. Flattering to see you are such an avid reader of this blog Ron. Must have read this one very quick before my editing had finished. Still, it is wise of you to keep informed on this issue. I wonder if these people who think they have fluoride hypersensitivity have heard of the nocebo effect. Our Changing World on Radio NZ had a really interesting interview on it a few weeks ago (Thurs 8th Aug). The Finnish data would certainly support this. Radio New Zealnd : Our Changing World. Check a variety of Material Safety Data Sheets for fluoridating agents. Some note some symptoms persisting long after fluoride exposure. Alias, I suggest you also check he safety data sheets for chlorine, soda ash, aluminium sulphate and all he other chemicals used in water treatment. In fact, check the source water used for Hamilton – the arsenic concentrations are 3 times the maximum recommended levels. Finally, can you not see that such after data sheets are only of relevance to people handling or transporting the concentrated chemicals. In the case of the fluorosilicates these chemicals don’t even exist in the finished water. The issue of safety data sheets for the cox erratic chemicals is naively irrelevant and anti-fluoridations should blush at the cynical lies they tell about them. I was waiting for someone to come up with the comparison with wind turbine syndrome. Unfortunately this is well documented, and really not that hard to see why having a 400ft industrial wind turbine next to your house might actually cause some health issues. I really don’t have any info on Flouride, but given the corruption apparent in the renewables industries, I feel little reason to trust any of these so called scientists. Yes, Andy, we know you are anti-science. No need to spell it out. You prefer to create your own reality. Ken, you wouldn’t get what science is even if I rolled it up I to a small ball and inserted it deep into your colon with a pair of forceps. John, you have just repeated a list of myths you have presented elesewhere – and you obviously have no intention of listening to any single response. However, this article is about the way anti-fluoridationists spins stories about fluoride sensitivity. Such stories are not suppoorted by any evidence. Question: Do you ever delete comments? I remember commenting on this subject and now I can’t find my comment anywhere. Maybe it’s on a different thread somewhere. Can I search you site to find my comments? I have a small bottle of a liquid sodium fluoride supplement. Quote from the packaging “ADVERSE REACTIONS: Allergic rash and other idiosyncrasies have been rarely reported” So do you believe fluoride supplements can cause reactions like a rash? I’ve found this admission on a U.S. govt. web page. As I recall this has also been in medical reference books. I’m thinking there has got to be a lot more than just the Feltman study showing reactions for manufacturers to have this on their packaging. If all these reports about fluoride sensitivity have been rejected, can you show me that in the scientific literature? I remember going through that Finnish study you posted and finding the flaws, but now I can’t find my comment about it. Doug, you are welcome to search. I suspect, however, this is your first comment here (as it went into moderation which happens with first comments) so you are probably thinking of somewhere else. You are welcome, of course, to join in discussions and make you critique of the Finnish study here. Hey, this is “Trusted Health Information for You” from the U.S. government. Do you have a problem with their statements about fluoride supplement sensitivity? Have you ever seen fluoride supplement packaging in your country? I wonder if it has the “Adverse Reactions” admission I found on packaging in the U.S. I believe I have commented on your website some time ago, although it may have been with a different e-mail address. Doug, I have no “beliefs” on this Doug and, for the life of me, cannot see why such “beliefs” are oimprotant to you. Surely the question is evidence, not beliefs. AS for you link – that does not talk about evidence, or even “beliefs” on this. This is a slightly different subject, so should this be in a different area? This is not specifically about the Lamberg study. I just want to know if you acknowledge that reactions are possible for people that ingest fluoride supplements. I’ve not seen anything written or anybody say that fluoride supplements cannot cause adverse reactions. Everything I’ve seen says adverse reactions are possible, from medical reference books to the U.S. government web page to packaging on the supplements themselves. So do you accept the evidence that fluoride supplements can cause adverse reactions? Or are you saying there is not enough evidence that fluoride supplements can cause adverse reactions? I have not seen any real evidence to accept. Perhaps, if you think this occurs you can cite the evidence your belief rests on. I have an open mind, but such acceptance does require consideration of evidence. And it is not enough to say “adverse effects are possible.” Anything is possible, including adverse effects from water or salt. As for whether or not fluoride in water can cause a skin rash, there were news reports of skin rashes, vomiting, nausea, etc from fluoridated water when there was an oversupply of fluoride in a SE Queensland water supply during Anna Bligh’s tenure as Qld’s premier. I’ve also seen a photo of a child who only developed red rashes when showering following his water supply being fluoridated. Via access to a large number of Material Safety Data Sheets, I could quote other potential harmful effects from fluoridating agents – including asthma. I have pointed out many times that material safety data sheets are meant for people handling, using or transporting concentrated chemicals. They are not evidence of effects at the huge dilution present in drinking water – only a desperate person would use them as evidence. Here’s some evidence: SOURCE: Feltman R, Kosel G. (1961). Prenatal and postnatal ingestion of fluorides – Fourteen years of investigation – Final report. Journal of Dental Medicine 16: 190-99. There have also been a lot of case reports. But since they were done by people who became opponents of fluoridation, does who they are prejudice your evaluation? When Walbott first discovered this sensitivity he was not an opponent of fluoridation, but this helped turn him into one. It seems unlikely to me that one study by Feltman (generally pro-fluoridation) would result in all the admissions of adverse effects from fluoride supplements showing up in medical reference books, a government web page and on the supplement packaging. There are probably many more studies in dental journals I’m unaware of that say the same thing. I am aware of the Feltman & Kosel paper and do not consider a small paragraph aside good evidence. Such side effects were never the subject of this study, but I believe comments like that need supporting data to provide credibility. I think it significant that anti-fluoride propagandists have to fall back on to such an old paper with only a simple comment as “evidence” for their claims. You have yet to provide these “admissions of adverse effects” in medical reference books. You surely must be aware that any warning of possible side effects on medication does not require any evidence and The Feltman & Kosel paper would surely be enough for such “warnings” to be included. I guess your reason for raising the issue here is your personal opposition to community water fluoridation, rather than use of supplements. Given the widespread use of the social health measure in many developed countries I would have expect more evidence to be accumulated in good scientific journals by now if it were a credible problem. Why have you not bothered to raise the evidence in the Lamber paper I discuss in my article? Surely something could be made of that? I did look at the Lamber paper a while back and I believe I did comment on it, but now I can’t find that comment. I’m buying a copy of the 1994 Physician’s Desk Reference for $.01 so I can see it myself in print. I’m wonder what the authors of that book would think about your idea that they have statements in their book that are not based on science (or anything else). Feltman had no more research funded by the government after he reported these adverse reactions. So are you surprised that there are no more “evidence accumulated in good scientific journals”? I’m not. Some journals refused to publish Walbott’s work because it was a threat to fluoridation. This is one of the things that led to the formation of the International Society for Fluoride Research. Wallbott wrote up his case reports in the International Achives of Allergy (1958). What about those case reports? I sent you the link to the page that listed 6 case reports. So just because virtually no dental researchers have chosen to write about these adverse effects, you have doubts about these adverse effects. Why would pro-fluoride dental researchers go looking for something that they really don’t want to find? What make you think any pro-fluoride institution would fund that kind of research? This is not about the search for truth, but protecting the policy. I’ve yet to come across any science that says adverse effects from fluoride supplements do not happen. I wonder if you can find any. There is tremendous prejudice in fluoride research and deciding what gets funded. When evidence is excluded from the mainstream because it might threaten a policy that causes doubt about that policy. Doug, it is also very desperate for anti-fluoride propagandists to invent conspiracies as a way of avoiding the fact they do not have science on their side. But you still avoid discussing the Finnish work which I would have thought you could use to support your argument. We are talking about one specific thing here – adverse reactions to fluoride supplements. So if 1% of people have an adverse effect due to exposure to a substance, that is impossible to measure or find in a scientific manner? What percentage would have to have a reaction to figure out if the effect is real? You are a scientist and I’m not. So maybe you can answer those questions. Merely saying that mainstream dental researchers have not looked for this effect does not mean I’m implying they are involved in a conspiracy. Where I live, there were people with excess levels of fluoride in their blood (pathology testing) – prior to their water supply being fluoridated. The worst case was a 40ish-aged woman who regularly drank a lot of tea. Her teeth appeared reasonable but crumbled easily; plus she had a lot of health problems that only receded as she cut down considerably on her tea consumption. Despite the then Premier Bligh being given affidavits reporting on effects and pathology testing of blood, she didn’t care about their predicament if fluoride was introduced to their water supply. A naturopath told me there are three main places in Victoria that do testing for allergies; however, if anyone approaches the specific departments for allergy testing for fluoride exposure they are refused testing. That to me is evidence that fluoridation is highly politicised and the direction is likely to be coming down from ‘above’: i.e. Victoria’s department of health or its equivalent. So, Doug, you refuse to consider the evidence of adverse effects of community water fluoridation in the Finnish paper because you want only to discuss supplements? Given the large numbers exposed to CWF (which you don’t want to discuss? 🙂 ) it would not be too difficult to show a significant relationship in 1% of the population. In fact the Finnish study did exactly that – which is why I find you avoidance of discussing the study strange. “Why would pro-fluoride dental researchers go looking for something that they really don’t want to find?” – also implies conspiracy in that you label honest researchers as “pro-fluoride” and then claim a motive not to do the research. “This is not about the search for truth, but protecting the policy.” – strong suggestion of conspiracy. Now for me to put it back on you s0 can you not see the silliness of the argument “I’ve yet to come across any science that says adverse effects from fluoride supplements do not happen. I wonder if you can find any.” For somehow suggesting this as evidence there are harmful effects. The fact is science will never be able to prove that drinking water is not harmful for some people. All it can do is search for evidence that it is and report what it finds. Please name the review/study which unequivocally proves that water fluoridation is safe for everyone to be exposed to throughout their entire lifetime. Blossom, it is real desperation for you to rely on material safety data sheets and naturopaths instead of the science. Blossom – Please name the review/study which unequivocally proves that water is safe for everyone to be exposed to throughout their entire lifetime. The reason I’m talking about supplements is because there apparently has been enough evidence presented to convince the physicians desk reference, a U.S. government web page, and fluoride supplement manufacturers to mention these adverse effects. But the statements of those entities are not enough for you to accept the existence of adverse effects from supplements. KEN, You appear to have repeated my request instead of answering it when you wrote on June 21, 2015 at 5:10 pm | Blossom – Please name the review/study which unequivocally proves that water is safe for everyone to be exposed to throughout their entire lifetime.”) instead of answering it? Doug, we are going around in circles. If you think there has been enough evidence to assert negative side effects – well – cite the evidence. My mind is open – but evidence is required. Statements or vague references to maybe possible side effects that you have referred to are not evidence. You haven’t even dared to quote them because they are so vague. Please just cute evidence. Otherwise no progress can be made. Blossom, go back and read what I wrote. I repeated your request but substituted water for fluoride. My hope is that this will help you understand how knowledge is acquired about safety. If you cannot provide studies showing water is safe then perhaps you might understand how we determined that it is safe enough to to drink. You substituting ‘water’ for ‘fluoride’ in my message above is a red herring that distracts from the question I asked about proof. Back in the 1970’s one-hundred thousand dollars was worth very much more than it is today. Two people on opposite sides of the Pacific individually offered a $100,000 reward to anyone (assumedly the first person) who could prove that drinking fluoridated water for a lifetime was safe for everyone. Not one single person accepted the challenge. The Finnish study simply shows that some people MAY have a nocebo effect and are influenced by what somebody tells them about fluoride in their water. That does not prove in any way that there are no adverse effects for some people. In fact this study can bee seen as evidence that these effects are real. If you were actually familiar with the science that reports these effects you might know that they don’t necessarily go away immediately. Also, the study does not say what day of the month in December people received their survey cards. Fluoridation ended late in November. Sometime in December people got the survey – maybe less than a month later. So if you accept the possibility that the effects don’t disappear overnight, then sensitive people may have still had effects and reported that honestly in December. So fluoridation stopped and they still had effects. The authors only say that there MAY have been a nocebo effect. They never claimed that the nocebo effect explains away all the reports of adverse effects. Quote from the study: “The decrease was most significant for symptoms related to the skn.” Skin rash from F exposure is the symptom most often admitted from pro-fluoridation entities like the U.S. government and F supplement manufacturers. Nobody forced manufacturers to put admissions of reactions on their packaging. They did it voluntarily. I suspect they got plenty of complaints and decided to admit skin rash was possible. There are plenty of doctors who have seen reactions and quietly tell their patients to avoid F to get rid of the reactions. So all these doctors form many countries over many decades must all be mistaken according to you. I could find only the abstract of the Finnish study freely available online. If I could find the entire Finnish study I’d take a closer look. There have been cases where scienfitic journal authors have refused publication of science simply because it would “provide ammunition” for anti-fluroidation activists. That has happened. So yes, there have been conspiracies to suppress science about fluoride. Conspiracies exist, and in the U.S. people are prosecuted for crimes with conspiracies. In the U.S. we have a law called the Freedom of Information Act. When it was used recently to reveal communications between CDC officials about fluoridation a lot of the communications were blacked out with no explanation. That’s a conspiracy to suppress information. This is not a national security issue where there may be justification for blacking out some of what could be forced into the daylight through this law. You said it would not be too hard to show that 1% of people had negative reactions to fluoridated water. Please tell me how you would design that study. Blossom, you are avoiding the fundamental issue. My substitution of water for fluoride does not distract – it focuses us on the real issue. The impossibility of “proving” something is safe in all situations and all time. It focuses on the hyprocrisy of posing the issue in that way. In the real world we investigate the issue of safety by looking for instances of harm. So perhaps I could offer you a reward of $100,000 dollars if you can prove that drinking water over a lifetime is safe for everyone. I know you will not accept that challenge. It is pathetic that you have to reduce your approach to the science on this issue to such a childish challenge. It exposes your lack of honesty. Doug, regarding your question on design – I would probably design such a study in a similar way to that use in the Finnish investigation – possibly larger numbers but targeted on specific skin rash effects. There would be ethical problems because we cannot treat humans like rats in experiments. I am surprised you indulge in special pleading over the Finnish study because in fact their result for skin rash is probably the best evidence you could get to support you “belief.” Their questionare listed a range of possible disorders and the skin rash one was the only one to show a statistically significant effect of real fluoridation. All other results could more sensibly be attributed to a psychological effect. It is an isolated effect and would require substantiation in a more directed study of the sort that I suggest because of the likelihood that it is a false result arising from the fact that when a large number of different measurements are made in the same study a false statistical significance for one measure effect is likely to occur. It is of no surprise to me that an anti-fluoridation propagandist site will make the claims you do and provide citations they claim support them. Hit that is not evidence. One has to consider the actual evidence provided in the studies. Agai. And Agai. I have found, and shown on this blog, that claims made by anti-fluoridation propagandists are completely incorrect, based on misrepresentation or outright falsification. I see you have now admitted to advancing conspiracy theories. These have no effect on a rational person. We require evidence. Not conspiracy claims of special motivate pleading. Please provide the evidence for your “belief.” I can only conclude that as you cannot provide real evidence you belief is psychologically based, not rationally based. Sorry, Doug. One should not try to design an experiment via a comments section of a blog when half asleep. Actually I would not use a questionare approach but actually use trained technicians to measure the degree of skin rash on people who did not know if their water was artificially fluoridated or not. In fact, using an approach like some of the Swedish studies where variation in natural levels of drinking water fluoride are used would probably be better. This removes the fixation on community water fluoridation and concentrates on real fluoride levels. Incidentally, whatever the result surely the important thing is what people believe rather than what they actually experience. If their rash is purely psychological rather than factual it is still a problem for them and they should take steps to alleviate their problem. Such as using a bench top filter. Many people already do this – probably mostly to remove chorine for which the problems may be far more real than for fluoride – so it seems to be a sensible approach. And surely if people think they have a problem with skin rash then a bench top filter is an obvious solution rather than campaigning for the denial of a safe and effective social health measure that the rest of the community wants. That sounds too much like an extremist religion. Here’s a case of high level conspiracy and scientific misconduct. The Burk/Yiamouyiannis cancer study was threatening fluoridation in the U.S. Hoover, working for the government, secretly sent his data and method of analyzing that data to 2 different British teams of scientists. He told them to keep it quiet, don’t tell anybody that they got the data & methods from him. That way it would look like 3 separate teams found the data not their own and did independent investigations that came to the same conclusion. Which was completely false, but he tried to get away with it. All the pro-F teams came up with the same statistical error and then suspicions arose. FOIA was used to get his letter admitting what he did. This was when FOIA was new and the law was respected by government. Hoover won’t talk about this so far, and probably never will. But years later he was involved in a very expensive multi-year study to try and disprove the association between osteosarcoma and fluoridation. This study did not disprove the association, but that was the end of government funded studies into this. Chester Douglas was caught lying to the government about the thesis study of his student that showed the association with ostesarcoma. No big deal, Harvard exonerated him behind closed doors without any justification. That’s how powerful the fluoride lobby is. I’ve caught high level officials and institutions lying about fluoridation. This is not a difference of opinion, as they change their words when challenged or enough publicity caused them embarrassment. But none of them ever admit they were wrong or apologized. They just continue on as if nothing happened. This just happened recently with the director of the National Toxicology program regarding a review of fluoride/IQ studies. So I put little faith in what hight level touts of fluoridation say. Like you, I look at the evidence. And the evidence is not all you your favor. So the Finish investigation was not an ethical experiment? The investigators knew the city would stop fluoridation ahead of time. The city must have told them so they could then do their experiment. The city did not tell the residents it would end a month early. So that is not an ethical experiment according you what you wrote. There have been and will continue to be many opportunities to do an experiment as you suggested. For example, in New York city stopped fluoridation for a period of time to make repairs. The lab that tested their water for lead reported a reduction in lead during that time. Water systems often stop fluoridation for repairs. So they could stop the fluoridation a month ahead of time without telling people. Or would that be unethical? Nobody has done an experiment like you suggest because there is virtually no interest in public health circles in finding out if people do have side effects. They merely cite the lack of “official” evidence as if that means it does not happen. But when a doctor or scientist discovers this by accident themselves, they often change sides if their job or career would not be threatened. And being anti-fluoridation has without any doubt been threatening to doctors, dentists, and scientists. There are many cases where humans were treated like rats in experiments Harold Hodge, who was a top American scientist promoting fluoridation, led an experiment that selected unknowing hospital patients and injected them with radioactive substances. After this was revealed long after his death the U.S. govt. apologized and made reparations. The Finish experiment also assumes that the people in that town knew fluoridation was supposed to stop at the end of December. It also assumes that citizens in March knew that fluoridation had stopped by then. Those are really big assumptions and affect the quality of the study. If some people in that town did not know what was going on, the results support the idea that side effects do happen. I noted that even people who supported fluoridation felt they had a reduction in symptoms. So you think this is a good study? So even though the Finnish study showed a “statistical significant effect of real fluoridation” that’s not enough for you. I get the feeling no amount of evidence or any science would ever convince you that fluoride can cause adverse effects. You are just as rigid in your thinking as anybody opposed to fluroidation. Ultimately, science deniers always rely on conspiracy theories. I just read your comment, Doug Cragoe. That’s all I’ve had time for at this point. Could you please provide citations for some of the things you are saying; for example, what happened in New York and the drop in lead levels. Can you provide a source for that? And how much did the lead level drop? I’d like to take a look at it. Normally lead levels are reported as percentile. The EPA action limit of 15 ppb should be below the 90th percentile. Sources of the other incidents reported in your comment would also be helpful. Thanks. To clarify something I said, the Action Level for lead should be below the 90th percentile of x number of samples taken. Blossom, I think you missed the point Ken was trying to make – maybe you get it now. But I can’t prove to you that watching television is safe. I can’t prove to you that using a cellphone is safe. I will offer you $ 1 million if you can prove to me that sitting in a chair is safe. Get it? You are asking for Ken to prove that CWF is absolutely safe. It can’t be done, that’s what makes this question such a great scam. 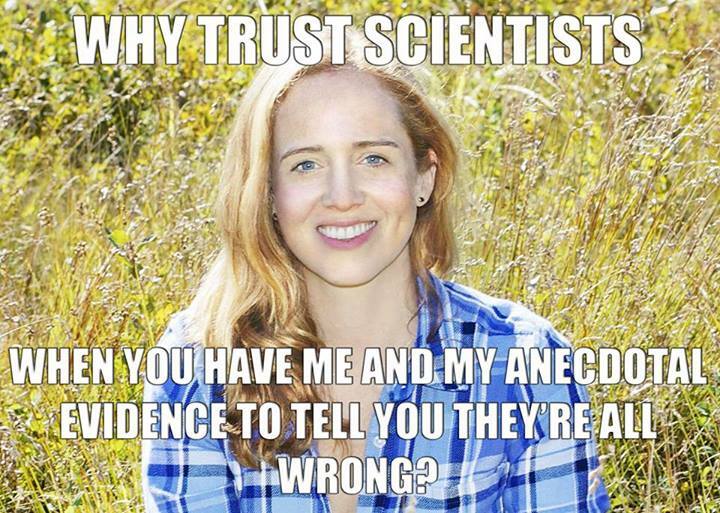 On the other hand, it won’t be difficult to show you that the vast, overwhelming evidence suggests that CWF is safe. That’s how science works. It is always open to new evidence. David Fierstein – The director of the lab that had the contract to test New York City water reported to certain individuals that he noticed the lead levels in the tap water went down when fluoridation stopped due to repairs. The lab is now dissolved. The director never wanted to make any public statement about this. No surprising, as it would have brought heat on the lab. The former director of the lab had done a study that showed that fluoridation chemicals leach lead from pipes and lead solder used in the pipes. NYC has old pipes as I recall. This also happened in Thurmont Maryland. They stopped fluoridation and the lead levels went down. A newspaper report said so. There are more such stories of lead going down when fluoridation stopped, but I can’t find them right now. These are the 2 most written about. This particular issue is kind of funny. Many years ago I had a brief debate with the CDC fluoridation engineer on the pages of the National Association of Corrosion Engineers. The NACE had told me (after a few months of deliberation) that fluoridation chemicals do not cause any corrosion. So I posted the anecdotal stories of corrosion and other assertions by corrosion engineers and waiter system operators on their discussion board. Nobody responded for some time. Finally the CDC fluoridation engineer responded with a reply that both denied and admitted it in the same message. He admitted that they could be corrosive, and that’s why anti-corrosion chemicals are often added to soft water sources. When fluoridation began in the 1950’s there were a lot of stories from water system operators in the North East part of the U.S. where they have soft water. Lots of corrosion, to the point where it was a reason to stop fluoridation in some places. I think after some years they get a better handle on it, and started using more and better anti-corrosion chemicals. Fluoridation chemicals often eat up pump rooms where the chemical is being diluted. This can be a big expense for small systems. Corrosion and having to replace eaten up equipment is often not factored into the cost of fluoridation. Anti-corrosion chemicals are sometimes added when fluoridation starts on a system with soft water. There is no grand conspiracy to make people ill with fluoridation. Fluoridationists believe in it and drink fluoridated water. They would not give it to their children if they though it was bad. But there have been conspiracies to suppress science, and keep negative information away from the public in order to support fluoridation. These may not be big conspiracies, and the people who have done them don’t see their actions as conspiracies. For example, it’s apparent that public health has informally agreed amongst themselves to not talk at all about fluorosis to the public, for the simple reason that it casts a negative light on fluoridation. So we will continue to heavily overdose toothless infants with fluoride for the sake of convenience and not getting parents worried. And for that age group nobody claims a benefit from fluoridated water. Risk of fluorosis for no benefit. A few years ago I attended a national oral health conference where I asked this question in front of a few large groups and many individuals there: “Should parents be informed about the fluorosis risk from preparing infant formula with fluoridated tap water?” Only one person answered my question. The rest simply refused to answer. Not even in areas with much higher than “optimal” amounts of F in the water does public health put any importance on informing parents and doctors about this fluorosis risk. Hey Doug, it’s because of the Lizardmen. They’re everywhere and you can’t tell them apart from ordinary folks. (and shhh, better keep it to yourself). Doug, I looked at the letter from the Tacoma water quality controller. Quite right, water samples which are checked for lead are taken from people’s homes, not from the main system. And also, quite right, the reason for this is to see if leaching is occurring from household plumbing. According to the letter, after fluoridation stopped, the 90th percentile was at 17 ppb. This is still above the Action Level of 15 ppb. So I am assuming that Tacoma has naturally corrosive water. It also says in the letter that pH is measured daily at the station. This should be at a point downstream after all additives to water. What the letter glaringly doesn’t say, and what would have gone up like a red flag, is that the pH rose after fluoridation chemicals were no longer added. The writer of the letter appears to have a bias against fluoridation. He or she is trying to draw a conclusion that lead levels dropped because fluoridation ended. Why else would anyone even try to draw this correlation unless they were trying to prove the point that fluoridation is leading to leaching. And yet, there is no mention of a difference in pH – which would be the reason for leaching from lead pipes. I find this extraordinary. for analysis. All results are a matter of public record. You can probably go to the Tacoma website and find a water quality report. Your quote: “He admitted that they (fluoridation chemicals) could be corrosive, and that’s why anti-corrosion chemicals are often added to soft water sources.” No, anti corrosion chemicals are often added to soft water because soft water can be corrosive. Your quote: “Fluoridation chemicals often eat up pump rooms where the chemical is being diluted. This can be a big expense for small systems.” I have worked with fluorosilicic acid and I have never had this experience, nor have I ever heard of it. (That doesn’t mean it doesn’t happen.) I am, however, aware of an indoor waterpark that adds hydrochloric acid to bring the pH down (since chlorine is more effective at a lower pH) and I understand there has been much corrosion of the equipment from using that. Another waterpark that I know of uses sulfuric acid and has avoided that problem. My point is that if FSA is known to corrode mechanical rooms, and I doubt it, so what? Other water additives are certainly more corrosive to equipment. Why aren’t we excited about that? Moreover, these waterparks are adding a hell of a lot more than 5 ppm of acid to bring the pH down. I can tell you though, from my experience – and from the glaring omission from the Tacoma water coordinator – the addition of 5 ppm of FSA does not affect the pH of drinking water and would therefore not create more leaching. Soft water is naturally corrosive, right? So Tacoma has that type of water, as well as a lot of other places. When fluoridation stopped lead levels went down. No other explanation was ever offered. The theoretical chemistry does not matter that much to me, the actual results do. The PH levels matter less than what happens with the lead levels. The story is that when fluoridation started up again the lead levels went back up in Tacoma. I don’t have time to try and find that on the net right now. Maybe that is true or not, I’m not sure. No, you won’t find any official records from the Tacoma water utility about what happened. I tried, but they “know nothing.” There is no “public record.” The annual water quality report probably is not going to help, as you probably can’t figure out when they did the tests that year. This happened many years ago. In Thurmont Maryland the water system operators attributed the decline in lead levels to stopping fluoridation. Fluorosilicates leach more lead than sodium fluoride according those tests. This stuff is all over the net, but it is not in one convenient place to find. You have to search. There are plenty of example of fluoridation chemicals eating up pump rooms. When fluoridation chemicals are going to be added it can affect the PH of soft water. Right? So anti-corrosion chemicals, or more of them are often added at the same time fluoridation starts. Canadians opposed to fluoridation has a water treatment expert on it’s staff: Peter Van Caulart, Vice President / Drinking Water Quality & Water Treatment. He owns a company that trains water system operators for their safety. He knows about this. If you want to learn more you could contact him. You know, Doug, I must have been having a brain fart. Yes, of course you are correct and it is believable that FSA vapors could cause corrosion of mechanical equipment. As I recall, it’s standard procedure to connect a ventilation tube to a container with FSA to prevent this and to safeguard water operators. You won’t see that corrosion if proper procedures are followed. But again, this doesn’t have anything to do with lead leaching from plumbing. The regulatory agency will have records. The Washington DEQ I would imagine. All water systems are required to keep their records for 10 years, but that letter was dated 1992. The water quality reports, or Consumer Confidence Reports weren’t required until around 1994, so you won’t see a CCR with that. But you can look at a current CCR from Tacoma and look at pH, the lead levels and the fluoride. Doug, you say that the “actual results” are more important to you than “the theoretical chemistry.” But yet in your search for and presentation of results you avoid the published literature which contains them and instead lump for a document from a professed anti-fluoride propagandist organisation. This document has,it’s of faults – which is obvious from the fact hat it is not presented in a peer-reviewed journal – suggesting its quality is such that it would not have been acceptable. One fault sticking out like the proverbial is that no replication was involved. Hence his reference to data anomalies. However, even this document shows the factor involve in releasing Pb is pH – not fluorosilicate. This is of course consistent with “theoretical chemistry” – no conflict between the results and the chemistry there. He even states that the pH adjusted “fluorosilicic acid” has the least corrosive effect. Your treatment of this is a clear example of confirmation bias. You have thrown away all that is known about the hydrolysis of fluorosilicates on dilution to assume that somehow these nonexistent fluorosilicates in drinking water are responsible for dissolving Pb and ignored the obvious facts of the lower pH in his test solutions. I understand that in the real world the amount of fluorosilic acid during water is so small that there is not a noticeable drop in pH. However, if there is (and more expert people than me can tell us) then pH adjustment is simple. It is simply a matter of recognising that the factor causing corrosion is low pH – not the presence of the hydrated fluoride ion. I see they checked for lead at 50 sites. The highest detected level of lead was 14 ppb, which is below the Action Level of 15 ppb at the 90th percentile. I also see that they add fluoride. This would be checked on a daily basis, probably from several sites per day. The highest level detected in the year was 2.02 ppm. 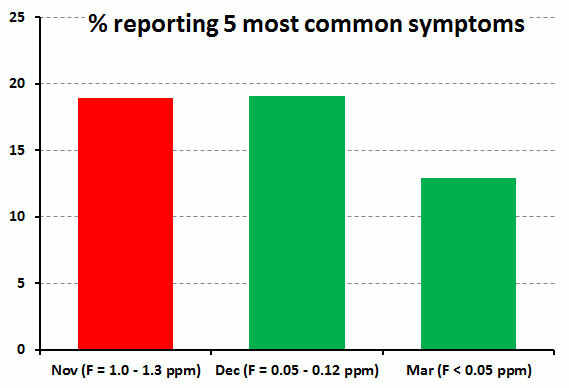 The range for the year was 0.71 – 2.02 ppm. As you can see from this report, the addition of fluoride is not affecting lead levels in water. This is contrary to your comment that when fluoride was added to the Tacoma supply, lead levels rose from 17 ppb. My advice is to not rely on sources like Mr. Deal’s Fluoride Class Action website. It is not a credible source.